Morris Dickstein makes it clear from the start that he has no interest in writing a Jeremiad like Delmore Schwartz, who shouts desperate warnings at the unfolding reel of his life on the movie screen in his short story, “In Dreams Begins Responsibilities”. Morris wants to tell the story of his seventy-four years in the measured but engaging way that Flaubert does in L’ Education Sentimentale. There’s no smoking gun here, nor skeletons waiting to dance out of the closet. Dickstein’s subjectivity is quiet, proportional, free of self-aggrandizement, but not of ambition. In the opening scene of the memoir, Dickstein recalls a time when he was living in New Haven, newly married and studying at Yale, and finds himself in front of an apartment he had previously lived in, and filled with great curiosity. When no one answers the unlocked door, he lets himself in, feeling as though he is trespassing on his own life. That this past matters to him was clear. And in Dickstein’s fluent style, the incident reminds him of a favorite poem by William Wordsworth about time and memory. …What’s impressive is how seamlessly everything in Dickstein’s story connects—his daily life, his studies and his reactions to the books he reads. As a yeshiva student at the Rabbi Jacob Joseph School on the Lower East Side, he acquired both a solid secular and religious education and a love of reading. Exposed to higher literature as a Columbia undergraduate, he learned to read faster and better and to write with facility about what he read. Consuming books, he learned to relate them to the author’s intentions, to his own reactions, and to the cultures to which both he and the author are connected, as well as to how these cultures connected. He wrote his doctoral thesis on the poetry of Keats, who, eerily enough in Dickstein’s mind, happened to die on the same date as Dickstein was born, and with whose acute sense of mortality he found himself identifying. Morris Dickstein’s new memoir, Why Not Say What Happened: A Sentimental Education, reaches a crescendo in 1971 when the English Department at Columbia votes to deny him tenure and he takes a job at Queens College. Even for long-time academics, his narrative provides a behind-the-scenes look at the inner workings of Ivy League academia. For readers of twentieth-century Jewish fiction, Dickstein emerges as a character who might inhabit a Philip Roth novel entitled “Goodbye Columbia.” Comic and yet deadly serious, he’s a representative figure of his generation and an inveterate New Yorker who moved from the Old Testament to rock ‘n’ roll and from the synagogue to the streets of protest, all the while that he confesses his own inner demons. Yes, this is a confessional memoir of the sort that might make his button-down professors uncomfortable. This heady setting is evoked in an absorbing and generous manner in Morris Dickstein’s new memoir of his “sentimental education” (the book ends in his 30th year). 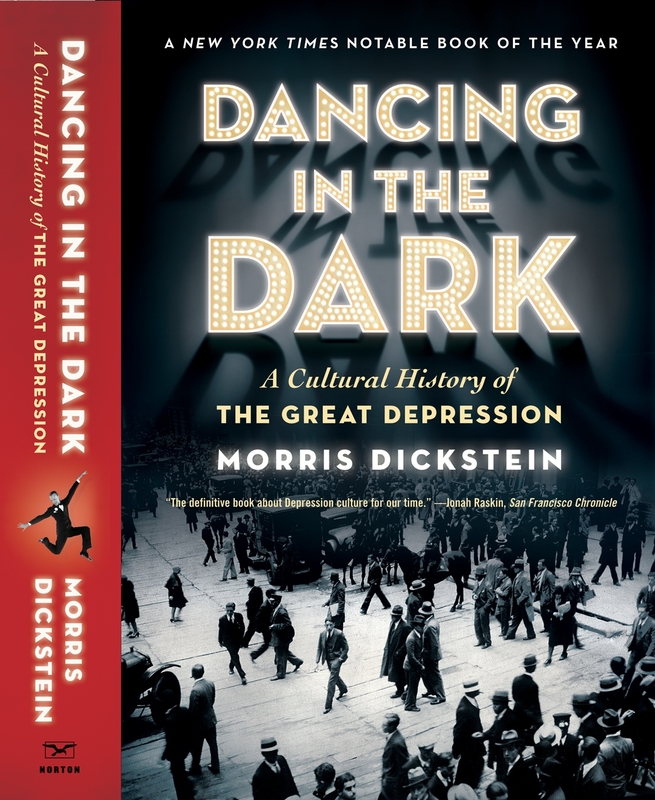 Dickstein is a distinguished literary critic and the author of such essential works of cultural criticism as Gates of Eden: American Culture in the Sixties and Dancing in the Dark: A Cultural History of the Great Depression. What makes his book stand out from an increasingly cluttered field of academic memoirs is the substance of the Jewish identity he brought with him to the Columbia campus. Morris Dickstein’s father was shy and modest, his mother a chronic worrier, and they rarely ventured beyond work, home, relatives, and going to synagogue. They moved from the Lower East Side to anonymous Long Island and that was enough, as the world outside was an unnerving place. Don’t take chances! Obviously, Dickstein, a distinguished film and literary critic and a renowned university professor and author, went far beyond his timid parents, starting with the moment he dared move to Morningside Heights to attend Columbia University. But what’s telling in Dickstein’s personable, intellectually engaging memoir, Why Not Say What Happened: A Sentimental Education, is that the path he’s chosen is hardly a wild, chaotic break from his parents’ attitudes. Or his righteous Orthodox religious education. At Columbia University in New York, rioting students took over the administration building, paralyzing the campus. Certain professors claimed this was a trauma from which Columbia never recovered but it was a proud moment for 1960s rebels. […] Morris Dickstein, a much-published social critic and a 75-year-old professor emeritus of the CUNY Graduate Center, doesn’t hesitate to acknowledge how seriously he took those heady years. “The scent of emancipation was in the air and I wanted like hell to be part of it,” he remembers. He marched against the Vietnam War and grew a bushy beard. He embraced the Beatles, Bob Dylan and the Rolling Stones. He resonated to the newish beat of Allen Ginsberg and the other Beats. As both professor and cultural critic, Mr. Dickstein has written on the Romantic poets and Allen Ginsberg, movies and theater, subjects high and low. He displays here that unusual combination of an academic rooted in a discipline who seeks to use his particular expertise to explore matter of interest to non-specialists in the general culture. What is vivid in this work is the sense that the texts he is reading and teaching as an academic have a personal story behind them, that there is an import to what the cultural moment he was living in imparted to him as a private individual. As he writes of his book on the 1960s, “Gates of Eden” (recently reissued): “Most of all, I tried to bring some of my own story into it, stimulated by the sixties itself to set down personal testimony.” In a sense, this is a memoir of a life in reading, how Mr. Dickstein brought himself to the texts he spent his professional life examining. In any moderately literate and moderately free society there is always and inevitably a “battle of the books” (as Swift put it) as part of a larger “culture war,” either chronic or acute: a battle over beliefs and values as articulated and conveyed in books and films, school curricula, and music and art works, as well as in political elections and legislation. As the cultural critic Morris Dickstein noted in 1997, “We are a nation . . . at war over basic social and moral values.” But we are also part of an increasingly interdependent global culture where a similar “Kulturkampf” is being waged. One of Dickstein’s teachers, Harold Bloom, has been very influential in the world of literary criticism and literary studies — of how and what our very brightest students read in college and graduate school — and both Dickstein and Bloom, ten years apart in age (Bloom was born in 1930 and Dickstein in 1940), are important figures in a massive cultural-social development in post–World War II America: the emergence of Jewish intellectuals in positions of prominence in American cultural life. The title of Morris Dickstein’s memoir alludes to an often-quoted line from Robert Lowell’s epilogue to his last book of poems, Day by Day. “Yet why not say what happened?” is Lowell’s question to himself as he prays for “the grace of accuracy.” Dickstein, emeritus professor at CUNY Graduate Center and the author, most recently, of a cultural history of the 1930s, takes Lowell’s question as a personal challenge. Why not say what happened to a man who has lived “a slightly suffocating life” in a Jewish family in New York’s Lower East Side and Flushing, Queens, and who then came to maturity in the distinguished academic purlieus of Columbia and Yale? The “sentimental education,” as he calls it in his subtitle, has less to do with Flaubert’s dreary masterpiece than with a cultivation of the self as instanced in Wordsworth’s “Tintern Abbey,” a poem Dickstein loves: “An education of the feelings as well as the mind” is what he hopes to have explored in thinking and writing about his past. For nearly five decades, ­Morris Dickstein has been a recognized figure in the New York intellectual scene and the academic humanities. This well-known cultural historian and critic has now written a memoir of his life leading up to that ­professional maturation, covering his childhood and early adulthood in the middle decades of the twentieth ­century. […] His grandparents and parents are colorful working-class figures whose homes have outhouses but whose prosperity is rising. Their son’s entry into the Ivy League and the New York Times exemplifies the surge of young Jews into mainstream professions and WASP enclaves, as well as their loss of religious observance. He mingles with the New York Intellectuals, publishing in Partisan Review, the New Republic, and Commentary just as that golden age of ideas and ideologies is waning, and he welcomes the Beats and rock and roll just as they begin their conquest of mass culture. When a teacher at an Orthodox Jewish yeshiva in the 1950s yanked a volume of the Talmud from the hands of a teenage Morris Dickstein, expecting to discover a comic book hidden behind it, he found instead a copy of Shakespeare ’s “As You Like It.” It was, Mr. Dickstein insists, a thoroughly appropriate choice for rebellious reading. The play is “about leaving the city and the court behind to find passion and regeneration in more natural surroundings”—a theme that resonated with his own yearnings for liberation. This memoir by a noted literary critic and cultural historian charts his journey from Lower East Side yeshiva boy to cosmopolitan professor. Much of the book is a love ballad to his heady university years at Columbia, Cambridge, and Yale, chronicling a series of significant encounters with, among others, Lionel Trilling, F. R. Leavis, and Harold Bloom. Though an old-fashioned humanist like his mentors, Dickstein reveals himself to be in synch with his time. His enthusiasms are widely dispersed (movies and popular music no less than the Western canon), and he describes the emergence of radical culture in New York in the sixties with sympathy. Conjuring a lost age of intellect, Dickstein proves the most cheerful of elegists. In his memoir, “Why Not Say What Happened,” Dickstein, who was born in 1940, now looks directly into the mirror. We see young Morris as the intellectually overachieving, socially insecure yeshiva boy, obsessed with sports and the Rosenbergs; the Columbia undergrad, ardently immersed in a new, secular world of ideas; the miserable graduate student; and the young, passionate professor. (Of a Dickens seminar, Dickstein writes, “It’s hard to explain today how much this mattered to us, but the very substance of our feeling for literature seemed to hang in the balance.”) Along the way he experiences sexual and emotional happiness with the woman he marries, tenure troubles, psychoanalysis and, of course, the tumult of the 1960s.